The Sunshine House announces their newest members of the Sunshine House Board of Directors: Jeff Miller, Sarah Traeger, Mike Nelson and Dr. Julie Gerndt. The new members all have a diverse work background. Miller is the Vice President of Commercial Lending from Nicolet Bank, Traeger is an Exercise Physiologist from Door County Medical Center, Nelson is a retired Regional Sales Manager from L’Oreal and volunteer at Sunflower Cottage, and Gerndt is a newly retired psychiatrist and Chief Medical Officer from Mankato Clinic in Minnesota. Leaving the Board are Marcia Smith from Nicolet Bank and Kelli Bowling from Door County Medical Center, both of whom will be greatly missed for all of their hard work and expertise. 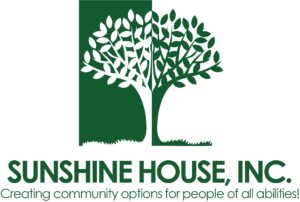 Sunshine House Inc. is a diverse community service organization whose purpose is to achieve the full participation in society of people with special needs. For more information visit sunshinehouseinc.org.